The July Visa Bulletin has been released by the Department of State. Most Family-Based categories will advance at least 1 month, with the exception of F1 and F2B Mexico and the Philippines, where no advancement took place. In Employment-Based categories, China EB2 advanced 4 months, while China EB3 and “Other Workers” did not move. 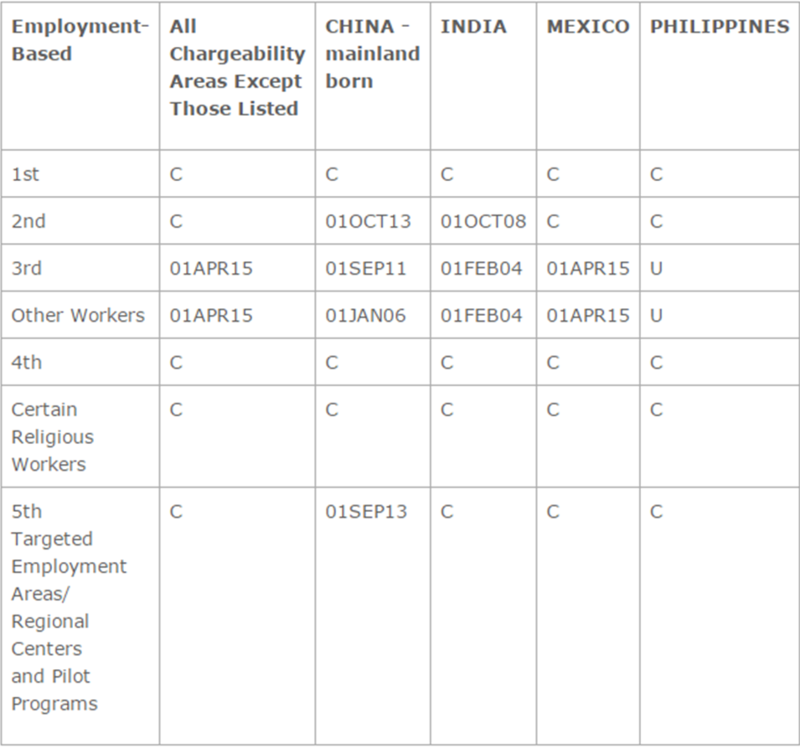 India Eb2 did not progress, however, EB3 and “Other Workers” advanced 1 week each. Mexico EB3 and “Other Workers” both advanced 2 months. The EB3 and “Other Workers” categories for the Philippines will be unavailable for the month of July as part of an attempt to hold number use within the annual limit. Finally, EB3 and “Other Workers” in all other areas advanced 2 months each.